I'll protect Du. Lol, I've been uploading a lot to the club... and I don't think I'll stop here... >u<. Wallpaper and background images in the Simon and Jeanette club tagged: simon+jeanette simon jeanette chipwrecked. This Simon and Jeanette photo might contain porträt, kopfbild, nahaufnahme, portrait, headshot, kopfschuss, anime, comic, manga, cartoon, comic buch, karikatur, and comics. ^ :( Too old? I'm 15 and still love the Chipmunks...Maybe if you ask nicely, she'll let you watch them? watched it! so cool. 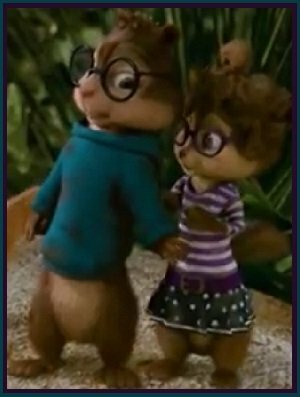 basically Britt grabs Alvin and shout 'what if we are here.....FOREVER' and she is shaking alvin, at that exact point Simon kind of leans back and has his arm out like the pic. By the way, my mum read what you wrote about 15, that's why she let me go in the end coz i'm 14.
well hope you watch it soon. by the way in the film it isn't like the picture, in the film it is flipped the other way.